The Corsair Professional Series Gold is built to the highest quality standards with one aim alone: to deliver the precise features and performance that enthusiasts demand. 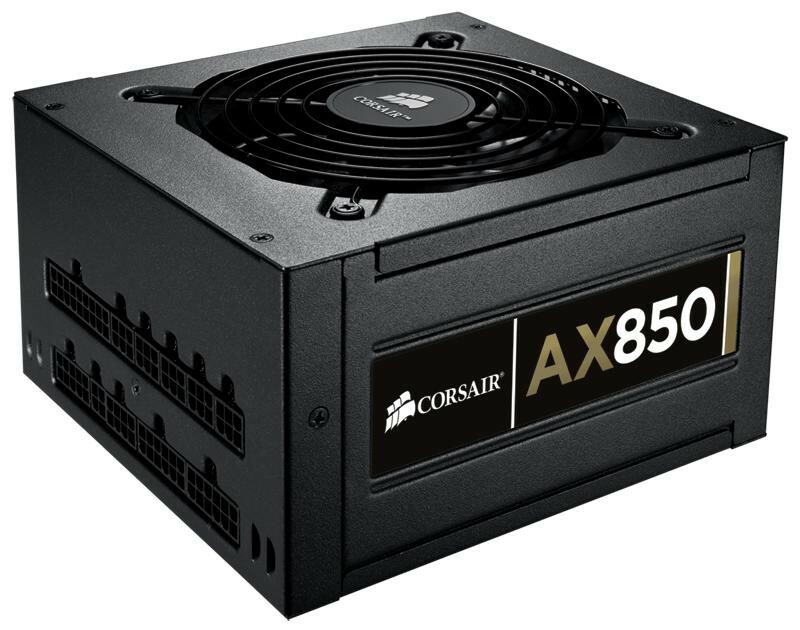 The Corsair AX850 power supply offers 80 PLUS GOLD levels of energy-efficiency, and the power needed for high-end, multi-GPU gaming PCs. 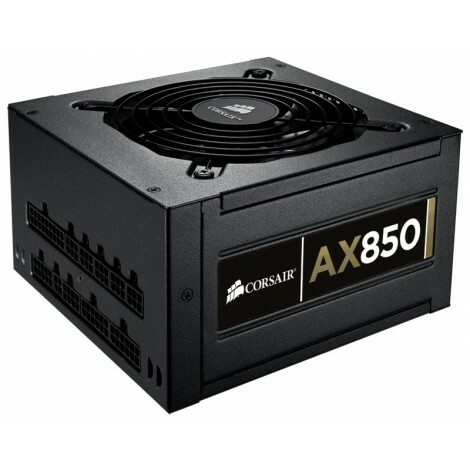 It is built to the highest quality standards to provide enthusiasts with the highest-quality 850W PSU available. All cables detach from the power supply. During installation, this gives you the flexibility of using only the cables you need for a clean system build with optimal airflow. And, when it’s time to replace or upgrade your power supply, it can be removed from your system without interfering with your cabling – the cables stay in place and connect to your new fully-modular Corsair power supply. With 90% efficiency at 50% load, the Corsair Professional Series Gold power supply runs quieter, generates minimal excess heat, and saves you money every month. It’s earned the 80 Plus Gold seal of approval, your guarantee that you’re making the right choice for smart, efficient power delivery. - 80PLUS Gold certified, delivering up to 90% energy efficiency at real world load conditions.